This is a review by six-year-old Molly; it was a school assignment. The second part of the assignment was for parents to post the review online (or at least type and print the review). For months, Molly’s was lost among the papers at my work space (I thought I had recycled it); she was very upset. Molly is an imaginative and thoughtful writer, and I’m so pleased to feature her first review on my site. 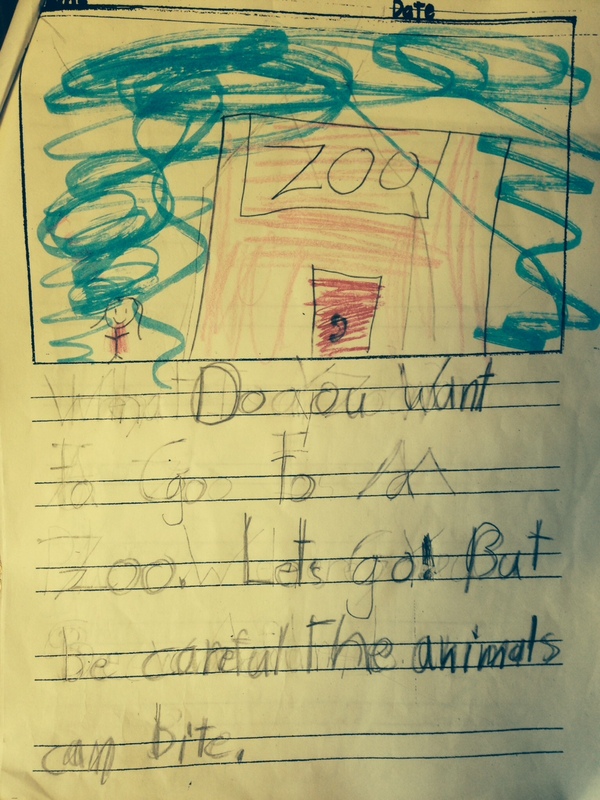 Do you want to go to a zoo? Let’s go! But be careful! The animals can bite. You can see all sorts of animals at the zoo. Let’s go to the Bronx Zoo! My favorite animal the Bronx Zoo is the red panda because it is red and because it is so cute. I would like to pet a panda. When should you go? On weekends. They have this slide that is in a tree. I have slid on it a lot of times. It may have stairs or a ladder. The slide is all open. It will be bright at the slide. You can drive to the Bronx Zoo. Or you can take some other stuff. For example, maybe a taxi. I do think you can take an express bus, the BxM11; or subway. I think the Bronx Zoo is better than the Central Park Zoo because it’s cool and fun. I think it’s better because my mommy used to work at the Bronx Zoo. It is also better because it has an exciting children’s zoo. I give the Bronx Zoo five stars. This entry was posted in Family Life, Humor, New York City Living and Coping, Parenting Moments, Review and tagged bronx zoo, city kids, kids, kids reviews. Bookmark the permalink. I LOVED your daughter’s entry! And she, like her mommy, is a very creative writer.